Jews across the country are thinking about Freedom Summer and the legacy of Jewish volunteers who traveled to Mississippi 50 years ago in order to promote social justice. The Goldring/Woldenberg Institute of Southern Jewish Life would like to invite you to spend time in Mississippi to be part of the next national movement. June 25-29, at Tougaloo College in Jackson, Mississippi, 3,000 activists, elected officials, students, scholars, and veterans of the 1964 Mississippi Freedom Summer will gather to mark Freedom Summer’s 50th anniversary. Events will commemorate the achievements – and shortcomings -- of Freedom Summer, but as activists, Freedom Summer volunteers are people who generally look forward, not backward. This will not be a typical commemoration, but a launching pad for social action focused on four closely-related issue areas: Education, Workers Rights, Healthcare, and Voting Rights within Mississippi and the nation. You can read more about the conference, registration information, and find a draft of their schedule on their site Mississippi Freedom Summer 50th. Honor the legacy of volunteers with a contemporary Jewish presence. Take part in an authentic experience in the state in which the campaign occurred. Exchange ideas with local and national activists. Show that Jewish activism is still alive and well, not just a story from 50 years ago. We believe that this event presents an incredible opportunity for Jewish social justice advocates to learn from veterans of the Civil Rights Movement and fellow advocates about the work that lies ahead. The Institute of Southern Jewish Life (ISJL) is collaborating with Jewish organizations to offer programming that will provide the space for people to learn about Jewish activism during Freedom Summer and the work of Southern Jewish communities today. We anticipate that the experience will include learning, networking and collective action. We may ask for a nominal fee from participants to cover transportation and program costs. Read more about our presenters on our Freedom Summer 50th Presenter's Page. Sounds great! How can I sign up? Yes No, but I am looking forward to meeting veterans! 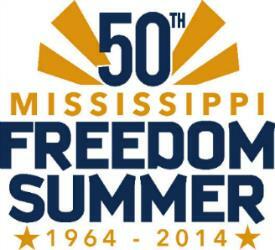 Visit the Mississippi Freedom Summer 50th site for information about the conference, or go directly to their registration page here. The registration fee is $75 for adults and $50 for students for the full 3 day program. The fee does not include meals but the Tougaloo dining hall will be set up for participants to purchase meals. Special accomodations are being offered at area hotels, and dorm rooms are also available at Jackson State University rated at $40 per night. Transport will be provided between JSU and Tougaloo. The ISJL will arrange transportation between our programs for a nominal fee.